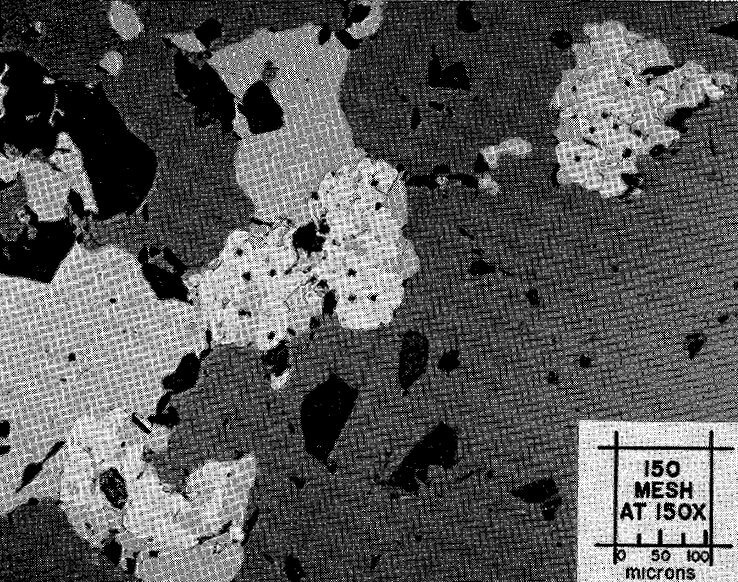 Comments: Photomicrograph showing four groups of paracostibite grains (white) associated with sphalerite (grey), and chalcopyrite (liglit grey). Dark areas are pits. (CanMin v 10:232). Location: Drill-core from claims held by Cochenour Willans Gold Mines Ltd. in Mulcahy Township, District of Kenora, Red Lake Mining Division, Ontario, Canada.